Pool Repairs Goodyear: Are You Winterizing Properly? Although it’s possible to keep your Goodyear swimming pool open all year round, it takes some extra work, and if you’re running a pool heater, it could also cause your energy bills to skyrocket. Even though we don’t get the freezing temperatures of some other states, most swimming pool owners in Arizona choose to close them down for the winter in order to avoid costly repairs. But how does that work? Do you just drain the water from your swimming pool and call it a day? Do you have to call a professional for pool winterization or can you do it yourself? 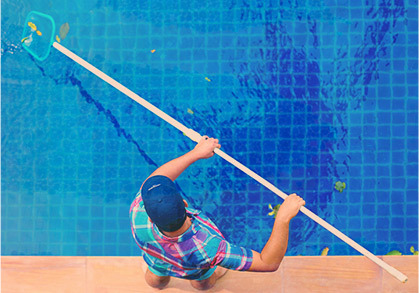 Don’t worry, Universal Pool Service is here to help. Keep reading to learn more about what it takes to properly winterize a swimming pool so that you don’t require pool repairs in the spring. Step One: Chemistry – Without a proper chemical balance in the pool while it overwinters, you could discover stains and etching in the spring. Avoid these pool repairs by using a winterizing chemical kit or by calling Universal Pool Service to perform the winterization on your behalf. Step Two: Drain Pool – To avoid the pool damage caused by the expanding process that occurs when water freezes, you’ll need to lower the water level until it can’t reach the skimmer. Step Three: Blow Out – All liquid needs to be removed from the plumbing lines, typically using a shop vac. If not, the lines could freeze and burst, leaving you to pay for costly pool repairs. 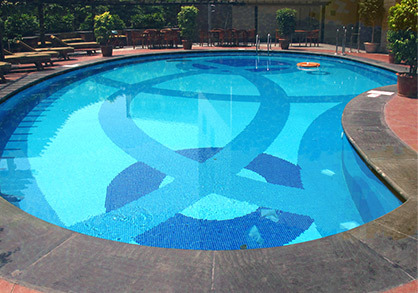 Step Four: Cover – The type of cover that you use will depend on the size and shape of the pool, and whether or not you want the water to remain warm. Step Five: Drain Equipment – The pool isn’t the only thing that needs to be drained! Neglecting to drain the filter, pump, chemical feeder, automatic cleaner pump, and/or heater could result in damage to the pool system. 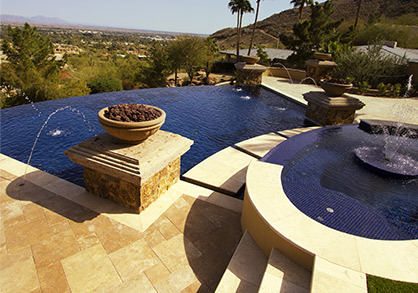 Winterization Helps You Avoid Costly Pool Repairs! Don’t want to tackle winterization by yourself? Avoid costly spring pool repairs by leaving winterization up to the experts at Universal Pool Service! Contact us now.